Shawn Anderson, creator of the terrific website Hall of Very Good, is the guest on today’s episode on The Sully Baseball Daily Podcast. He discusses the process of inducting players into his version of the Hall as he announced the new class on Monday, Luis Tiant, Tony Oliva and the San Diego Chicken. Visit Hall of Very Good by clicking HERE. Follow Hall of Very good on Twitter by clicking HERE. Chris Sale, David Ortiz, Wily Peralta, Hunter Pence, Julio Teheran, Jimmy Rollins and Jacoby Ellsbury all added to their totals for Who Owns Baseball? 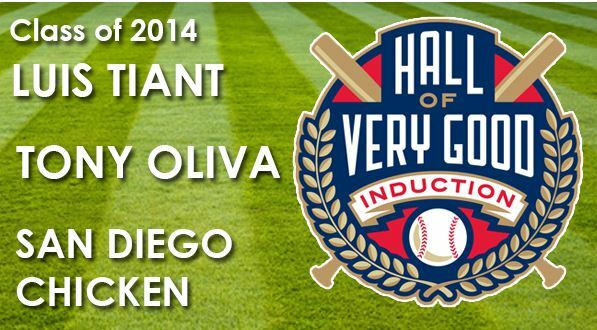 This entry was posted in Sully Baseball Daily Podcast and tagged Hall of Very Good, Luis Tiant, San Diego Chicken, Shawn Anderson, Tony Oliva. Bookmark the permalink.